The school alert system is used for special announcements, such as school closings due to snowfall, lock-downs or other school-related information. In such situations, the robocalls go out to “alert” residents of the district about a special circumstance that is taking place. 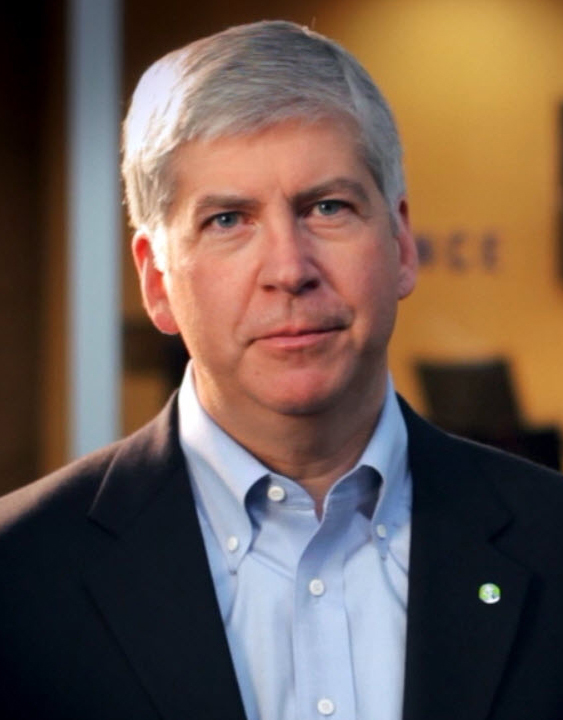 Though it is uncertain without an official investigation, use of the system to advance a political endeavor, such as the Snyder recall, appears to have been a violation of the state’s campaign finance law. Capitol Confidential asked Overley if the use of the alert in connection with the recall had been a mistake. “Yes, a big mistake,” Overley responded. Capitol Confidential asked Overley if the situation involving the alert had been brought before the district's school board. Capitol Confidential asked Overley if that meant he had known ahead of time that something concerning the recall was going to be sent out. “We're not going to ever let this happen again,” Overley asserted. Robert LaBrant is senior vice president of political affairs and general counsel for the Michigan Chamber of Commerce. He is a veteran of many battles involving public schools misusing, or allegedly misusing, taxpayer resources for political purposes. Capitol Confidential asked him about situations such as the one involving the use of the Lawrence alert system. Capitol Confidential asked Labrant what, if any, penalty would result from the district helping to direct voters to where they could get more information about the Snyder recall. “If a complaint were to be filed with the Secretary of State, and it was determined that there had been a violation, I'd say there would at least be some kind of minor civil penalty,” Labrant said. Fred Williams, spokesman for Michigan Secretary of State Ruth Johnson, said he wouldn't speculate as to whether any specific action would be considered a violation of the Michigan Campaign Finance Act or not. “If someone filed a complaint, we would look into it,” Woodhams said. Individuals found guilty of violating Section 57 could face a fine of up to $20,000. However, one might reasonably ask to what extent the current law, and how it's implemented, actually serves as a deterrent. Those attempting to recall Snyder have the daunting task of trying to collect 806,522 valid signatures in just a few months. Logic dictates that fertile ground for at least starting to harvest the signatures would be in state's K-12 community. With that in mind, the core question might be whether the possibility of getting caught and fined is likely to outweigh the opportunity of bringing in a lot of signatures. McMillin told Capitol Confidential that news of the Lawrence Public School incident would likely affect legislation that's currently before his committee. Capitol Confidential asked McMillin if he believed HB 4052 would address situations such as the Lawrence incident. “I'd say, after hearing about this (the Lawrence) situation, we'll make sure the bill does address it before it comes out of committee,” McMillin responded. Pscholka was the first lawmaker to be targeted for recall this year. Technically the issue he's facing recall over is the emergency manager legislation. He told Capitol Confidential that he has loads of examples of school employees misusing school email accounts and using school time for political purposes. “So there she is calling me, instead of being in the room while her class was taking a test,” Pscholka added. Pscholka also said his office has been collecting emails from school accounts pertaining to political matters. Capitol Confidential asked Labrant if the Snyder recall effort could potentially be penalized as a result of such an action by a local school district. Charles “Chuck” Moden could not be reached for comment on this article. (a) The expression of views by an elected or appointed public official who has policy making responsibilities. (b) The production or dissemination of factual information concerning issues relevant to the function of the public body. (c) The production or dissemination of debates, interviews, commentary, or information by a broadcasting station, newspaper, magazine, or other periodical or publication in the regular course of broadcasting or publication. (d) The use of a public facility owned or leased by, or on behalf of, a public body if any candidate or committee has an equal opportunity to use the public facility. (e) The use of a public facility owned or leased by, or on behalf of, a public body if that facility is primarily used as a family dwelling and is not used to conduct a fund-raising event. (f) An elected or appointed public official or an employee of a public body who, when not acting for a public body but is on his or her own personal time, is expressing his or her own personal views, is expending his or her own personal funds, or is providing his or her own personal volunteer services. (a) A fine of not more than $20,000.00. (b) A fine equal to the amount of the improper contribution or expenditure.